The location is great, people serving you are very friendly. Highly recommended!! I looooove this shop. My ratings are not an exaggeration. I'm always looking for a good deal on quality buds, and they have some amazing deals. There is a quarter they sell for $35 with surprising quality. They have eighths of BOMB like blueberry train wreck for $25. Very clear menus that are organized. Besides the smoke, there is a really interesting glass shop. It has all kinds of cool pieces that seem very state of the art, not just your run of the mill stuff. Finally, every time I go in, the staff are very welcoming, helpful, friendly, and best of all, they are very knowledgeable when it comes to their flavors of bud. I usually ask for a flavorful indica strain, and they have always pointed me to a strain that blows my mind. On one occasion they gave me a strain they informed me had won the "best nose" at a recent cannabis festival, and it smelled like nothing I've ever smelled, really amazing and unique. Definitely my number one for shops in the Bremerton area. TheRealJoeypottz, Thank you so much for the great feedback and the awesome rating! We love you too Joey! We will make sure to pass the message to Big Mike and Shelly that they're doing an excellent a job with their customer service. If there's ever anything you think we can improve on, don't hesitate to let us know. Thanks again Joey, we look forward to seeing you again soon. I love it here so much. Great deals everyday, amazing staff, and top quality products. 10/10 all day everyday. ReillyO94, You're awesome! Thank you for your ongoing support, and your positivity. We wouldn't be where we are today without our Best Buds like you. We hope to see you soon, and don't forget that 7/10 is coming up, we hope you'll be able to join us in the festivities. Not my favorite but not bad. I find better quality elsewhere. I would still check it out as I think a lot of people will love this place. Gizmosmokes, Thank you very much for taking the time to provide us with feedback about your experiences with our store. We are always looking for ways that we can improve our customer service, atmosphere, product quality, and every other aspect of our business. We strive to earn 5 stars from all of our Best Buds. We are interested in hearing more from you, about what we can improve. We try to keep about 80% of our companies as regulars, and about 20% new companies/new products rotating in every month or so. If there are specific products that you'd like to see us carry, we'd love to hear your input. We are completely open to constructive criticism so if you have the time, please shoot us an email or stop in and chat with a manager about what you'd like to see us do to improve our rating. Thank again for your support and we hope to see you again soon. My #1 spot in Kitsap (sorry guys, I see other people sometimes.. when it's convenient). As with ECC on 303 before they closed (I know some staff from ECC is here, grateful for the familiarity), the product is always great, and staff is always friendly and knowledgeable. In fact, the one and only time I took issue with one employee's service last year, after a simple question regarding holiday hours got me attitude in return, there was almost instantaneous resolution. When I mentioned the phone conversation during my visit, the problem was acknowledged and addressed rather than brushed off, and I noticed a positive change going forward. They have several "menus" right inside the door, and they appear to be updated for each day. Of course it isn't practical to update paper menus throughout the day so I wouldn't expect that they do.. but usually low stock is indicated on the menu, so you might be prepared to not have that product be available to you if it is marked as such. However, availability of anything on the menu may have been an issue once ever for me. Their selection seems pretty large to me, at least when it comes to flower. I only wish I didn't have to go somewhere else to reliably find Top Shelf cartridges.. but that's okay. I would say the only thing they really lack as far as options go is glass. I broke the actual bowl of my bowl a while back, so I figured I would just get a new one when I went in.. but the options were so limited in design and size variation that I was basically stuck with one specific bowl. Not a huge deal, but I like options, especially when it comes to my glass. Each piece of glass should have a life of its own.. this replacement doesn't. In any case, I almost didn't go to this location in my search for a new "home" after ECC closed. I had been disappointed in all the other local places I had gone and it seemed like an odd place to choose, right next to parking lots half full of dead businesses. But I did go and I am glad I did. Thank you. Paperbanjo, Thank you so much for taking the time to write a detailed review of our store. We're very happy to hear that we're your #1 spot in Kitsap, that's awesome! Please don't apologize for shopping in the other MJ retail stores, we do too =). Kitsap County is unique in the cannabis world, most retailers here actually get along with each other. 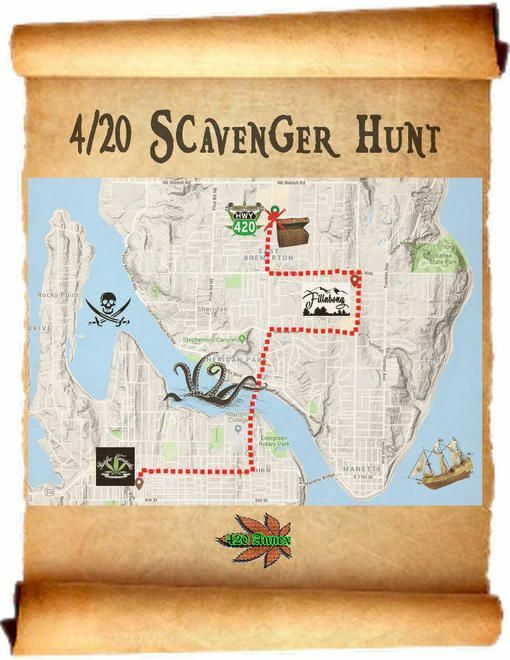 The 4/20 Fair, hosted by our neighbor, the 420 Annex was an event co-sponsored by Pacific Cannabis Company, Emerald Coast Cannabis, Fillabong Bremerton, and us. If you have cannabis in common, most of the other issues become irrelevant. We're glad that you like the products we carry and our customer service. We're sorry that you had a negative experience about a year ago, but it’s good to hear that there was immediate resolution to the situation, and that you’ve seen positive growth from your feedback. We do our best to listen to our customers, and we love it when we’re presented with opportunities to improve, in any area. Thank you for speaking up and letting us know when you saw something we should address. We currently have two menu styles available for shoppers. We have an updated print menu each morning, as well as an online menu that is automatically updated based on our actual inventory database, with close to real-time accuracy. When you said “I only wish I didn't have to go somewhere else to reliably find Top Shelf cartridges”, were you referring to the “Top Shelf” brand name, or just high quality vape cartridges in general? Either way, we have been expanding our vape cartridge selection recently, and we’ve been finding some incredible products. We do not carry “Top Shelf” company products at the moment, but we can perhaps take that into consideration. As far as our glass selection goes, it varies. We do have a pretty large selection, but we occasionally run out of certain items before we place a full order to restock. The good news though, is that in the near future, two other businesses will be opening in our building, the 420 Annex (glass/mech shop), and Wicked Glass Werx (glass blowing school/studio). When those businesses are opened, the glass selection will be endless. When we first opened for business, there were more dilapidated buildings in the area, but this location has begun the process of resurrection. Have you heard about the new Wilco opening near us? Businesses are moving back in, and east Bremerton is hitting a growth spurt. Even though you were unsure about visiting us, we’re happy you chose to give us a try, that’s all we want, is one chance to impress. Thanks again for your feedback, it means a lot to us that you’d take the time to provide us with detailed information on how we’re doing and where we can grow. If you ever have any other suggestions on ways we can improve, please contact us again and we will do our best to evolve in that positive direction. Thank you! We appreciate you and look forward to your next visit. Good prices, great service in a friendly atmosphere. SpaceCowboy1911, As I'm sure you already know, in today's world of tech, businesses are largely impacted by online business ratings and reviews. We deeply appreciate you taking the time to tell the world about us. People like you, our Best Buds, are one of the main reasons why we're one of the top marijuana retailers in Kitsap County; so thank you for your support! We look forward to seeing you again soon. Misspontiac31, You're amazing! Thank you for taking the time to support us with your review and 5 star rating! If there's anything you think we can do better at, please don't hesitate to reach out to us and let us know. Thanks again, hope to see you soon. Customer service is great! 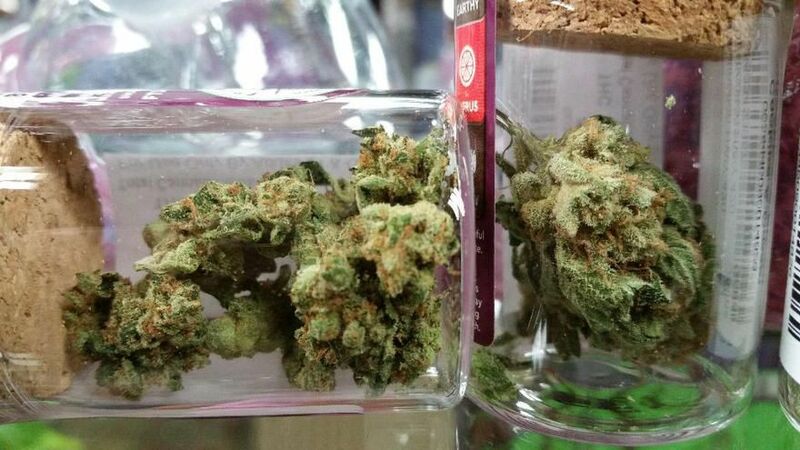 The bud tenders are knowledgeable and friendly. I've never gotten bad product here, ever. However, their lighting could be a little brighter, both inside and outside of the building. This is not somewhere that I would be comfortable going by myself just because it looks sketchy. JanieHutto, We greatly appreciate your feedback. We're happy to hear that you love the customer service you receive from our certified budtenders, and that you like all the products we carry. Thank you very much for providing us with constructive criticism and a specific place where we can improve. We will take your suggestion into consideration and look into ways we can improve our lighting. It is very important to us that our customers feel safe and comfortable at our store, so again, thank you for letting us know how you feel. We are totally open to suggestions for improvement, so if you ever have any other concerns, please reach out to us again. Thanks for everything! We look forward to your next visit. Best service and great variety! Moosicfan, We greatly appreciate your support! Thank you for the 5 star rating and positive review. We're happy to hear that you enjoy our customer service and product selection. If you ever find a product that you love, that we don't carry, please let us know; we do listen to feedback from our Best Buds, and we want to make sure we have the best cannabis products available. Thanks again for your support and we look forward to seeing you again soon.